NOAA Fisheries is forming the Columbia Basin Partnership, a regional organization of sovereigns and stakeholders whose charge will be to develop a consistent set of goals for Columbia River salmon and steelhead restoration. The partnership met for the first time Dec. 14. 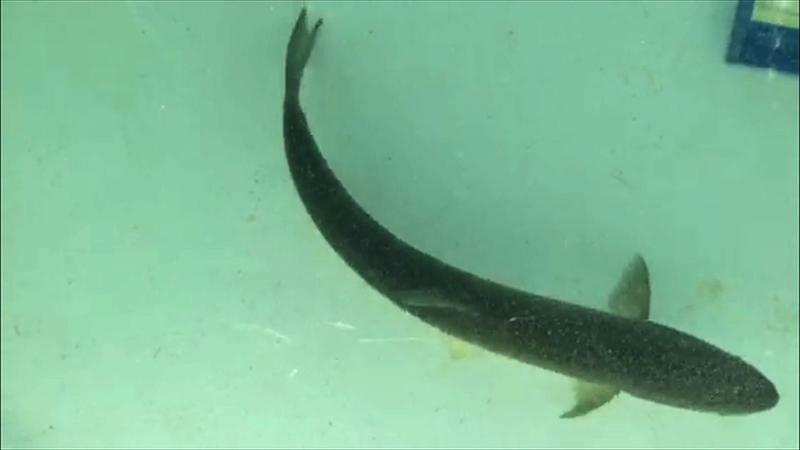 Currently, major parties in the basin's anadromous fish-rebuilding effort have each set a bar (or multiple bars) for recovery using different quantitative and qualitative measures. The four treaty fishing tribes that make up the Columbia River Inter-Tribal Fish Commission have their Spirit of the Salmon Plan, which is based on federally adjudicated rights established in treaties and laws. NOAA Fisheries has responsibility for ESA-mandated recovery plans for listed species in the basin. The Northwest Power and Conservation Council oversees implementation of the Columbia River Basin Fish and Wildlife Program. The program is a requirement of the Northwest Power Act and is funded by BPA. In a recent memorandum, NOAA Fisheries proposed the new partnership "develop quantitative adult return goals at the species, stock, major population group and population levels for salmon and steelhead in the basin." The 2014-amended Columbia River Fish and Wildlife Program also calls for a regional process to set quantitative objectives as a part of adaptive management. The new basinwide goals envisioned by NOAA and the Council will address conservation, harvest--"including those necessary to satisfy tribal treaty rights"--and hatchery mitigation objectives. The goal-setting process will account for habitat capacity, climate change and other conditions, according to both agencies' documents. "The Columbia Basin Partnership is not directly tied to the Federal Columbia River Power System or U.S. v. Oregon consultations," the NOAA memo clarifies. Two Council members--Jennifer Anders and James Yost, representing Montana and Idaho, respectively--attended the first get-together. Anders and NOAA's Bruce Suzumoto, who heads the agency's Northwest hydropower division, reported the results to the Council's Fish and Wildlife Committee on Dec. 15. Anders characterized the partnership meeting--an initial gathering of tribal, federal and state representatives (the sovereigns)--as going from very skeptical to less skeptical by meeting's end. "Some of the representatives who met in December were initially doubtful because the region has tried to come up with shared goals in the past, and it hasn't worked," observed Suzumoto. "But times have changed. We are getting better salmon returns, and people have tired of litigation. Now they're willing to give it a shot." While state and federal agencies and tribes have designated their partnership representatives and alternates, stakeholder representatives have yet to be selected from the large pool of nominations submitted to NOAA in October and November. Stakeholders will include representatives from Columbia Basin environmental, utility, river industry, agriculture, irrigation, commercial and recreational fishing, and local recovery groups. The plan is for the full Columbia Basin Partnership to include about 30 people, according to Suzumoto. "The sovereigns group, made of up those with key roles and responsibilities for salmon recovery and management, must provide structure and decision-making for the Columbia Basin Partnership to be successful," the NOAA Q&A says. The partnership process is expected to take two years to produce "integrated goals" for the basin's listed and non-listed salmon and steelhead species. "NOAA is attempting, through the Columbia Basin Partnership, something that has never been done before in the Pacific Northwest," wrote Tony Grover, the Council's Fish and Wildlife Division director. "They are striving for a shared regional direction for Columbia Basin salmon and steelhead." This direction, he said, would encompass and reconcile ESA responsibilities, tribal and treaty trust obligations, and sustainable-fisheries mandates. The benefits would include providing a strong foundation for NOAA Fisheries' decisions on species recovery and delisting management in the coming years, Grover noted. A full partnership meeting is likely to take place in Portland in February.